The Indian Express accessed over 90 articles published by Trivedi and found similar claims in all. He also claims to have developed “Trivedi Water”, which is listed on Amazon but is “currently unavailable”. A screen grab of the website of Trivedi Effect. A US-based NRI hailing from Betul in Madhya Pradesh claims that he can cure all diseases by transmitting energy. A nursing home owner from Farrukhabad in Uttar Pradesh touts his “University of God” as a counter to scientists who have won the Nobel. Nothing illustrates better the danger posed to genuine researchers by the pay-and-publish model of predatory journals than their publication of articles that propagate dubious claims with hardly any editorial review or oversight. “Many open-access publishers publish fake, junk, and pseudo-science. They only want to make easy money, so they don’t reject fake research. Instead, they just publish it and send an invoice to the authors,” Jeffrey Beall, the Denver-based former librarian who coined the term “predatory publishing” eight years ago, told The Indian Express. Based in Nevada, Mahendra Kumar Trivedi, 55, has authored and co-authored over 150 articles in journals of Science Publishing Group and over 100 in those of Hyderabad-based OMICS — both have been tagged as “predatory publishers”. The Indian Express accessed over 90 articles published by Trivedi and found similar claims in all. He also claims to have developed “Trivedi Water”, which is listed on Amazon but is “currently unavailable”. According to his website, Trivedi offers the “Biofield treatment” for groups and individuals in the US, with charges ranging $200 to $2,000. The Indian Express, however, found a number of holes in the collaborations that Trivedi claimed to have with a number of institutions. The NCCIH is part of the National Institutes of Health (NIH) under the US Department of Health and Human Services. When contacted by The Indian Express, an NCCIH spokesperson responded: “NCCIH does not endorse, ‘recognize,’ or ‘accept,’ any specific complementary, integrative, or alternative treatment approach.”Dismissing another claim from Trivedi, an IIT-Bombay spokesperson clarified that it does “not endorse any of his claims”. Records accessed by The Indian Express from courts in Pennsylvania show at least two rulings that went against Trivedi’s favour since 2014. Both were defamation suits filed by Trivedi against a blogger and a researcher for claiming that he was “scamming people” and “abusing women” — Trivedi claimed he was not a public figure. 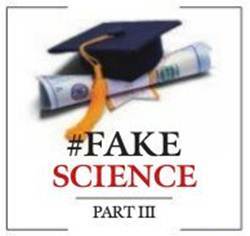 Thousands of kilometres to the east of Nevada, Vijay Mohan Das has challenged Nobel-winning physicists in a series of articles published in “predatory” journals run by companies such as Ghaziabad-based IOSR Journals. Das, a Master of Surgery from MLB Medical College in Jhansi, did not respond to a query from The Indian Express on whether he applies his theory at his nursing home. He said he runs a “charitable” institution and charges consultancy fee in OPD of Rs 200 and Rs 500 for emergency cases. In one of a series of articles published by Das in the November-December 2016 issue of IOSR Journal of Research & Method in Education, he writes: “Nobel Prize Physics 1930 (Raman Effect) and Nobel Prize 1902 (Zeeman’s Effect) and Nobel Prize 2019 (Stark Effect) are explained by wrong mathematical theories.” He was referring to C V Raman, Pieter Zeeman from the Netherlands and Johannes Stark from Germany. Stark won the Nobel in 1919, not 2019.